Join us for a sponsored walk, just over a mile long and suitable for all the family, a perfect first fundraiser for our little supporters. 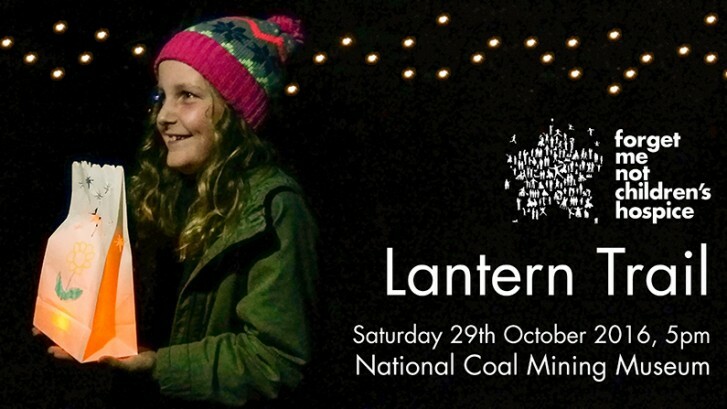 Wind your way through the enchanted Nature Trail at the National Coal Mining Museum with miners lanterns and fairy lights lighting your way. You can also dedicate and decorate a lantern (available to purchase on the day) to carry with you, with the route leading to the Memorial Garden where you can place your lantern and take time for reflection and remembrance. Every entrant will receive a glow wristband along with a certificate on completion. Food and drink will be available throughout the evening and the event will conclude with a spectacular fireworks display. On the day of the event registration will be open from 4pm, the walk will open at 5pm and the fireworks will be approximately 7.30pm. We hope you and your family and friends can join us and make our Lantern Trail an extra special event.